Are you finding that your household cleaning chores are building up? Never enough time in the day to get to the nitty-gritty?! Don't let dirt get you down! Call a professional cleaning company! Why not let Complete Cleaning Service in Muskoka look after all your house cleaning! Our professional cleaners do it right the first time, every time! We will visit your home or cottage to see what type of flooring you have. Different surfaces, the kitchens, baths and furniture. The number of pets and various levels of household traffic and clutter. That's how we determine our level of effort for your house cleaning. After that, you can leave the rest to us. Scheduled or on-call cleaning services available in Gravenhurst, Bracebridge, Torrance, Bala, Glen Orchard, Hunstville, Port Carling, Muskoka Lakes, Rosseau and Seguin. Let our professional cottage and house cleaners do it right! The first time and every time! 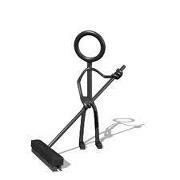 Our cottage and house cleaners are fully trained to deal with any cleaning task! We supply all the tools and products required and do not charge for travel. Fully insured with liability and WSIB. All major credit cards accepted. 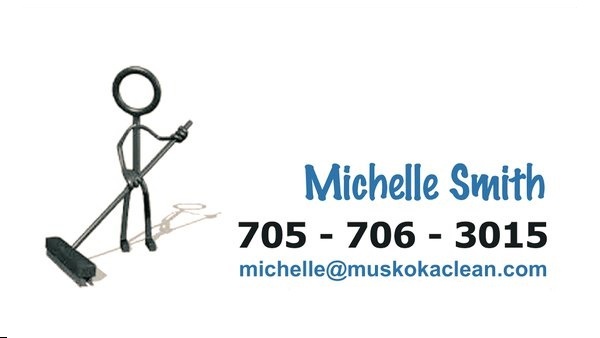 Muskoka's Trusted Source for Home and Cottage Cleaning since 2009! Servicing Gravenhurst, Bracebridge, Bala, Torrance, Glen Orchard Muskoka Lakes, Port Carling, Port Sandfield, Rosseau, Seguin and Huntsville.